SKU: RD693. Category: Single Spices. Tags: aromatic, cigarettes, cookery, culinary, flavours, Spice, traditional. Cloves are the aromatic dried flower buds of a tree in the family Myrtaceae. 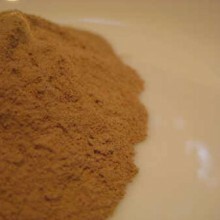 It is native to Indonesia and used as a spice in cuisine all over the world. 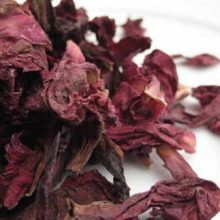 The name derives from French clou, a nail, as the buds vaguely resemble small irregular nails in shape. 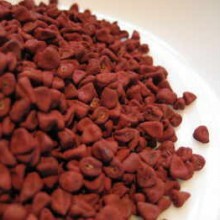 They are harvested primarily in Zanzibar, Indonesia and Madagascar; it is also grown in India, and Sri Lanka. Cloves can be used in cooking either whole or in a ground form, but as they are extremely strong they are used sparingly. 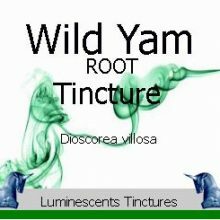 The spice is used throughout Europe and Asia and is smoked in a type of cigarette locally known as kretek in Indonesia and in occasional coffee bars in the West, mixed with marijuana to create marijuana spliffs (joints). 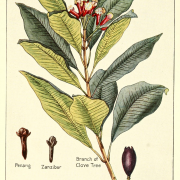 Cloves are also an important incense material in Chinese and Japanese culture. 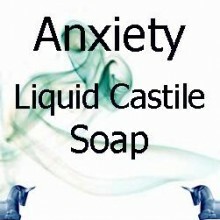 Clove essential oil is used in aromatherapy and oil of cloves is widely used to treat toothache in dental emergencies. 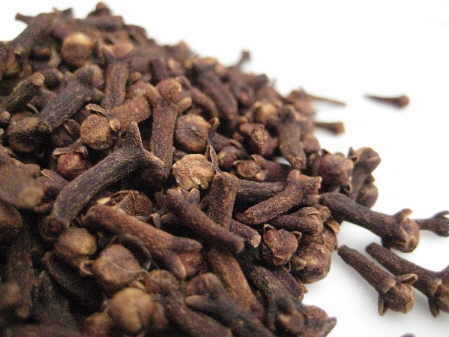 Cloves have historically been used in Indian cuisine (both North Indian and South Indian). 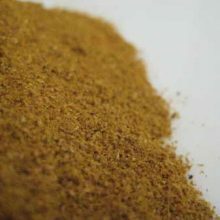 In the north indian cuisine, it is used in almost every sauce or side dish made, mostly ground up along with other spices. They are also a key ingredient in chai tea along with green cardamoms. In south indian cuisine, it finds extensive use in the biryani dish (similar to the pilaf, but with the addition of local spice taste), and is normally added whole to enhance the presentation and flavour of the rice. 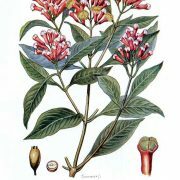 Along with the recreational uses of cloves, they are also said to be a natural anthelmintic. Until modern times, they grew only on a few islands in the Maluku Islands (historically called the Spice Islands), including Bacan, Makian, Moti, Ternate, and Tidore. Nevertheless, they found their way west to the Middle East and Europe well before the time of Christ. Archaeologists found cloves within a ceramic vessel in Syria along with evidence dating the find to within a few years of 1721 BC. In the 4th century BC, Chinese leaders in the Han Dynasty required those who addressed them to chew cloves so as to freshen their breath. 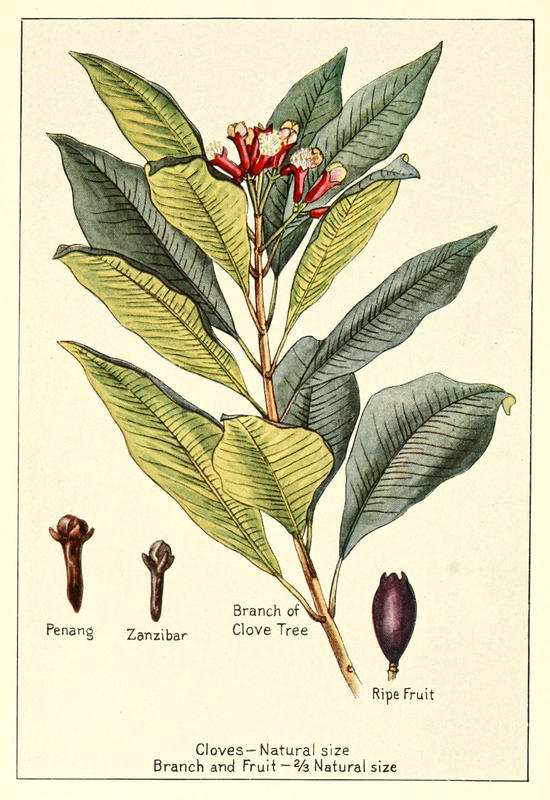 Cloves, along with nutmeg and pepper, were highly prized in Roman times, and Pliny the Elder once famously complained that “there is no year in which India does not drain the Roman Empire of fifty million sesterces”. They were traded by Arabs during the Middle Ages in the profitable Indian Ocean trade. In the late fifteenth century, Portugal took over the Indian Ocean trade, including cloves, due to the Treaty of Tordesillas with Spain and a separate treaty with the sultan of Ternate. The Portuguese brought large quantities of the spice to Europe, mainly from the Maluku Islands. 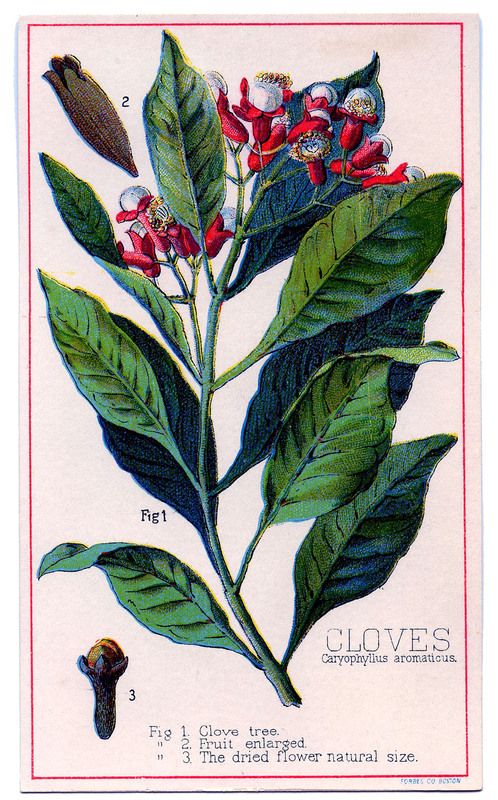 Clove was then one of the most valuable spices, a kg costing around 7 g of gold. The trade later became dominated by the Dutch in the seventeenth century. 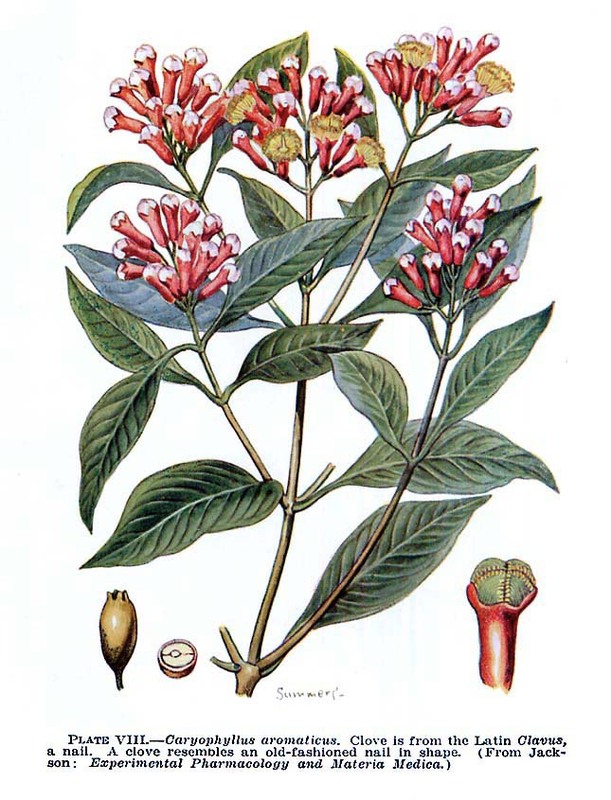 With great difficulty the French succeeded in introducing the clove tree into Mauritius in the year 1770; subsequently their cultivation was introduced into Guiana, Brazil, most of the West Indies, and Zanzibar, where the majority of cloves are grown today. In Britain in the seventeenth and eighteenth centuries, cloves were worth at least their weight in gold, due to the high price of importing them. 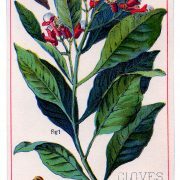 The clove has become a commercial ‘success’, with products including clove drops being released and enjoyed by die-hard clove fans. 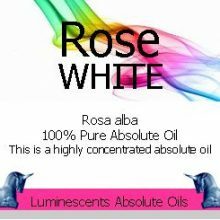 New Products, Flowers and Petals, Herbal Infusions, Products Beginning With "P"